Klip Gallery: Visualizations – How can we help you today? Use these examples to discover all the posibilities for visualizing your data in Klipfolio. 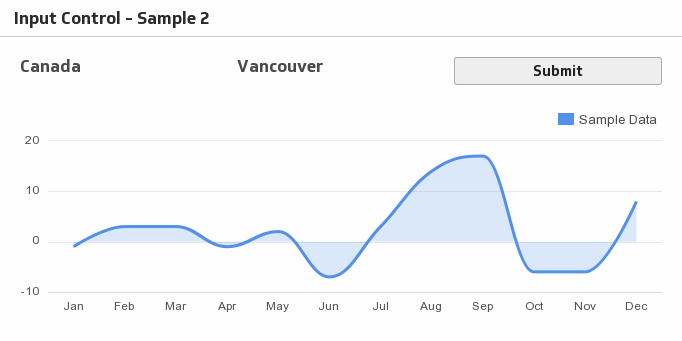 To add Visualizations to your dashboard, simply click Add this Klip! Track your progress with an arced Gauge component, and see if you are below or above your target. Discover your progress by stacking your Line Chart by percentage. Bring your sales data and scores onto a single chart by using both a Bar Chart and a Line Chart. 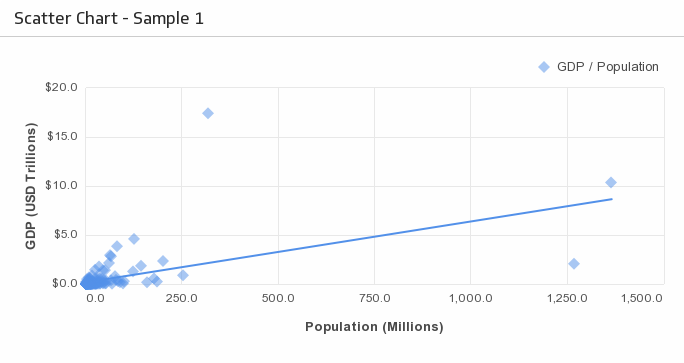 Use the Bubble Chart style of the Scatter Chart component to show concentrations of data. Discover all you can do with a Label component. Here we formatted it as a Mini Chart: Bullet. This donut-style Pie Chart compares parts of a whole, where Canada, USA and Germany's sales percentages add up to 100%. 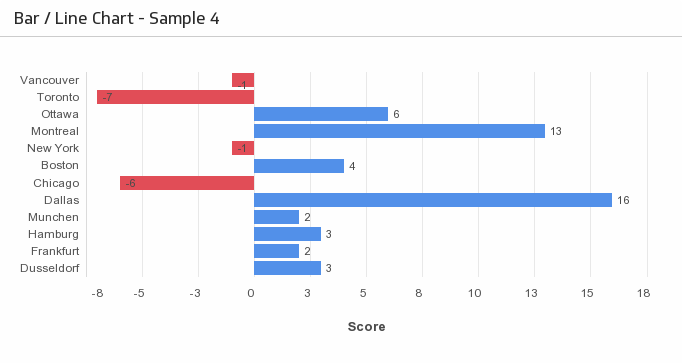 Use an Inverted Bar Chart when you want to use zero as a reference point between positive and negative numbers. See where you stand against your target with a horizontal Gauge component. Use Indicators to show when you are below or above your target. 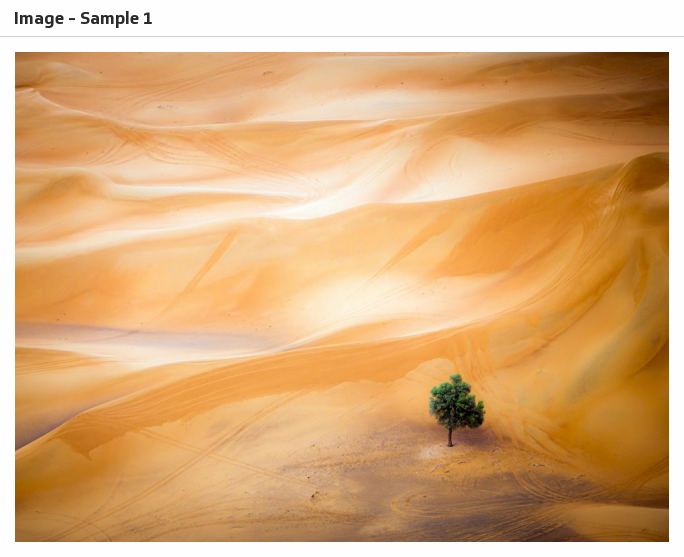 Make your dashboard your own with the Image component. Make your data stick with a Line Chart with multiple series. When you have any kind of location data, you’ve got to see your data on a map. On this map, we're looking at population and Gross Domestic Product. Add context to your map with Map Markers. In this example, we use Map Markers to show the amount of sales per city. Discover how you can manipulate your Klip with User Input Controls and a Submit Button. Use a News Reader Klip to stay on top of the latest stories. An example of a five-star Pictograph with no score attributed to it. There are endless possibilities with Pictographs. Fill your Pictographs with an assigned amount of data. Use different colours and labels to add context to your Pie Chart. Scatter Charts show relationships between two different things. In our example, we are comparing GDP to population. Use a single value in the Label component to add clarity to your dashboard. Use the Label component to show the date by setting it up in the Properties Panel of the Klip Editor. This Sparkline takes the form of a bar chart and shows the lead up to the current value of $7,525. This Sparkline shows the historical trend behind the current value of 3. Use a stacked Bar Chart to visually aggregate all of your categories into groups. Discover all that you can do with a Table component, from various Mini Chart styles to links and images. Drill down into your Table component and delve into the details of each category. A typical User Input Control component is a drop-down menu. This allows you to choose what information you would like to display on your Klip. Bring two related items together with a simple Value Pair component. Use the Value Pair component to show comparisons with indicators. Compare the trend with the current result by using the Value Pair component. See the trend with a Mini Chart in the Spark Bar format. Use a vertical Gauge component to monitor your progress toward reaching your goal. This Sparkline highlights two series - a Win/Loss Chart and a Line Chart- to show trends from a single data set.